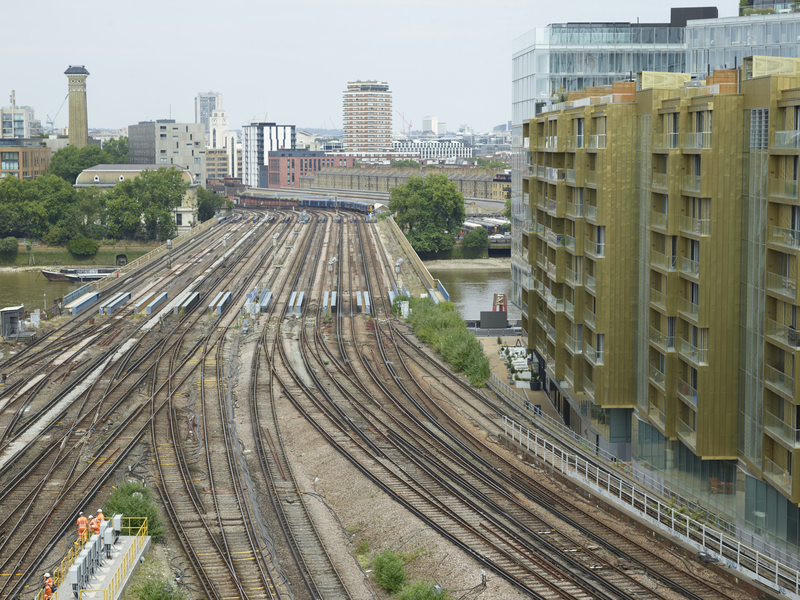 Conducting a high-accuracy survey of critical rail infrastructure for Network Rail at Battersea Bridge presented a raft of challenges. With so many elements to consider, it was by far our most challenging Vogel R3D drone survey job yet. Here’s why… and what we did to overcome it. 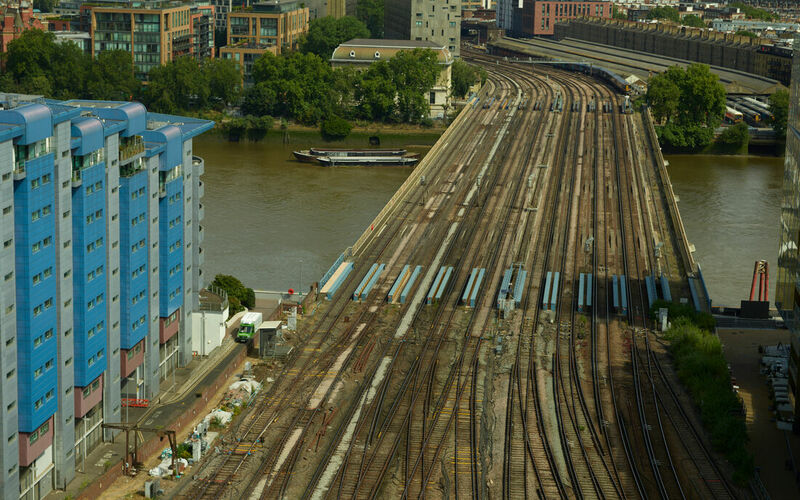 Conducting a high-accuracy survey of critical rail infrastructure for Network Rail at Battersea Bridge presented a raft of challenges. 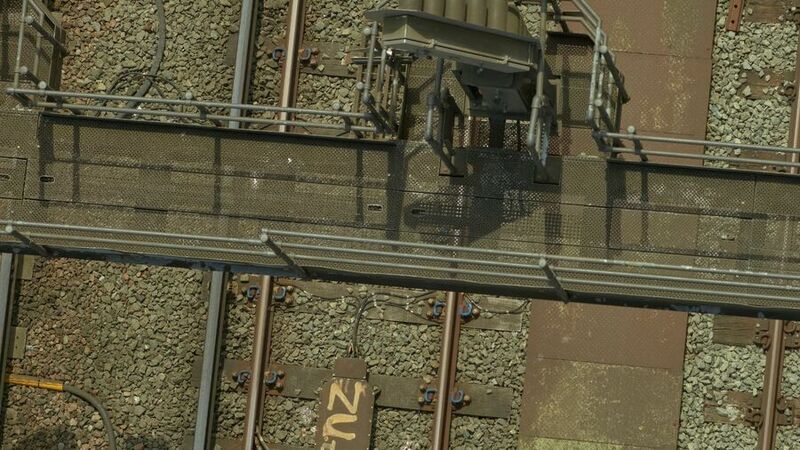 Our recent involvement at Guildford Station (with three different branches converging) was a difficult project, but with so many elements to consider, Battersea was by far our most challenging Vogel R3D job yet. Here’s why… and what we did to overcome it. 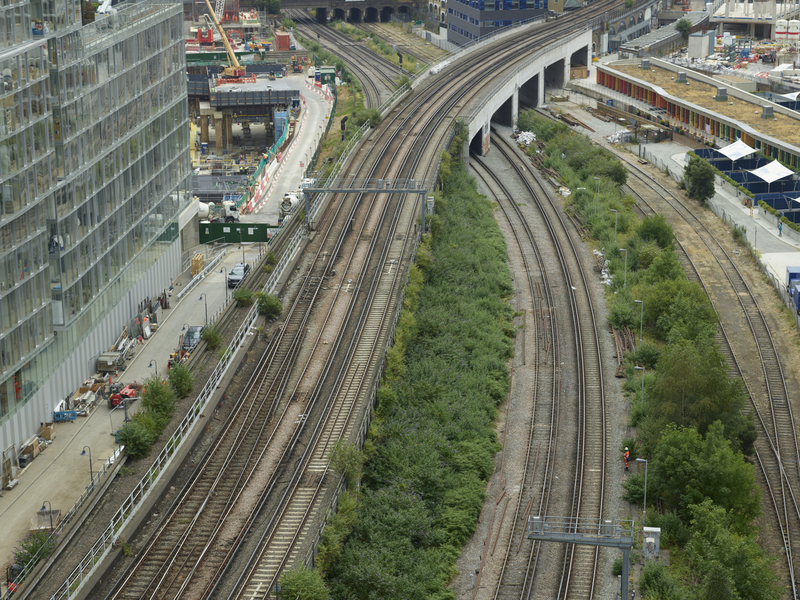 Much like at Guildford, we were instructed by Network Rail S&C (switches and crossing) South Alliance to deliver a number of surveying services to facilitate track renewals at a 660-metre section of Battersea Pier. 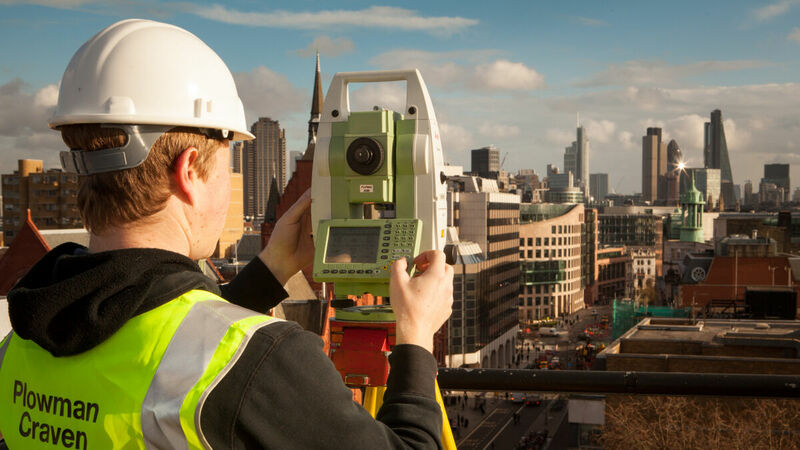 More specifically, the client required a 3D topographical survey, a highly-detailed point cloud and a high-resolution orthophoto covering all 5km of track within that section. 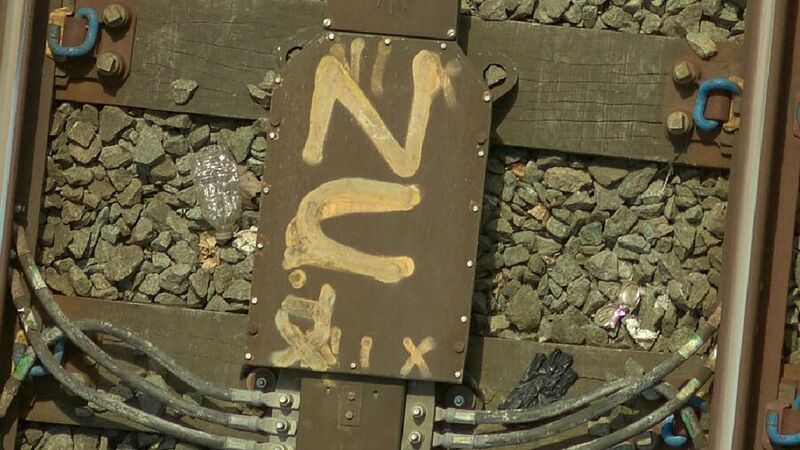 The only track access we needed was to establish survey control, and this was done over several night shifts with a three-man team as soon as a possession was available. With control in place, we were able to start the multi-faceted planning and preparation process. It goes with saying that drone surveys involve a bit more than turning up with a UAV, flying over the target and then processing the data. Take a look at the information block below for an overview of just some of the elements that required our consideration on this project. These rigorous processes are also part of the reason why we have the very highest levels of flying permissions from the Civil Aviation Authority and an Operational Safety Case (OSC) that very few companies possess. With so many buildings in close proximity, a great deal of time was spent contacting the building management teams to secure permission to fly within the CAA-agreed 30m limit. By providing full Risk Assessment (RAMS) and confirmation that the camera was pointed down (thereby not invading privacy) we received full cooperation from both residential and office buildings. 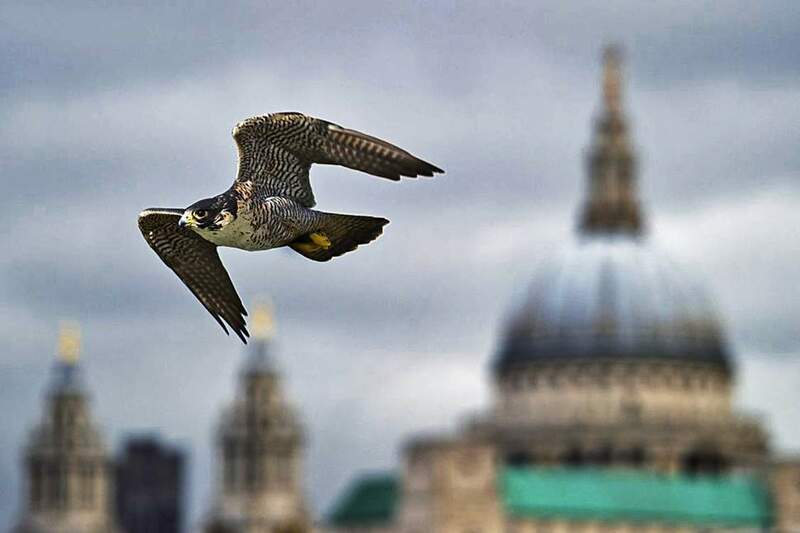 Nearby Battersea Power Station refused permission to fly within 30m but this is consistent with their position to any such requests and is because of the presence of nesting Peregrine Falcons. On the back of this, we pro-actively contacted the London Peregrine Partnership to seek advice. We subsequently engaged the services of a specialist consultant to ensure we did everything we could to avoid disturbing these protected birds of prey. Prior to flying we also informed the Police, securing a CAD reference number that could be presented to any officers who may arrive on site. This project location was also right on the border of EGR157, an area of restricted airspace, requiring us to secure an Enhanced Non-Standard Flying Notification. This was done two weeks before flying and went through the National Air Traffic Service (NATS) and Diplomatic Protection Group for approval. 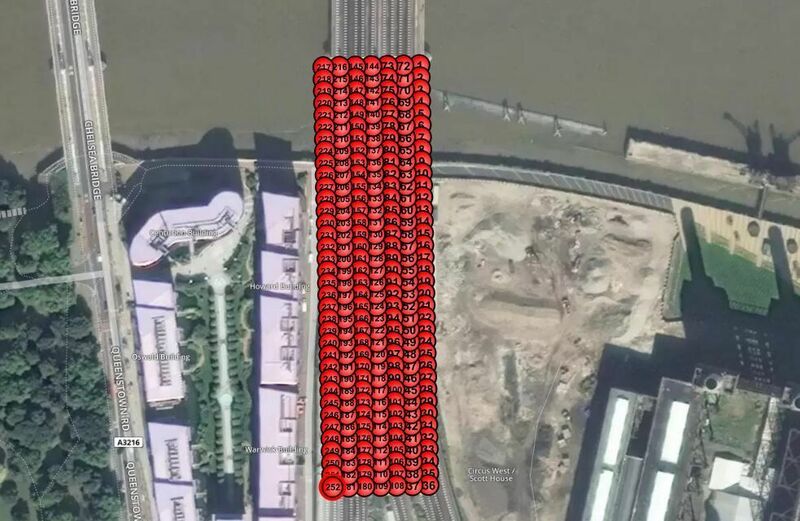 Network Rail might own the bridge, but the Port of London Authority (PLA) operates the river. The PLA likes to police air traffic above the water, and although we were only flying above the bridge and not the river, we notified them to avoid any unnecessary confusion. In addition to the above, we also conducted our own Risk Assessments as part of our internal planning process, ensuring that every possible step has been taken to ensure the safety and efficacy of the proposed project. With all the preparations in place we were able to fly the stretch of track in less than a week – capturing data that would have taken months to secure using more traditional methods. The actual flight time itself is fairly minimal, a matter of a few hours, but it’s massively impacted by the battery life of the drone unit. 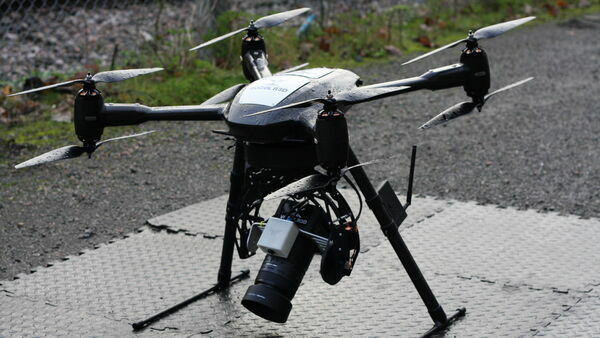 Vogel R3D’s hardware consists of an industry-leading drone platform and a 100MP medium format camera. The combined weight of these is around 9kg, which means that battery life is around 15 minutes per flight. You might think that it’s then just a case of land, replace battery, take off and resume surveying… but again, this is unrealistic. We have eight batteries. They take 90 minutes to recharge so we complete four flights, put these four on to charge together and then use the other four. This process is repeated constantly to ensure the drone is in the air as much as possible. 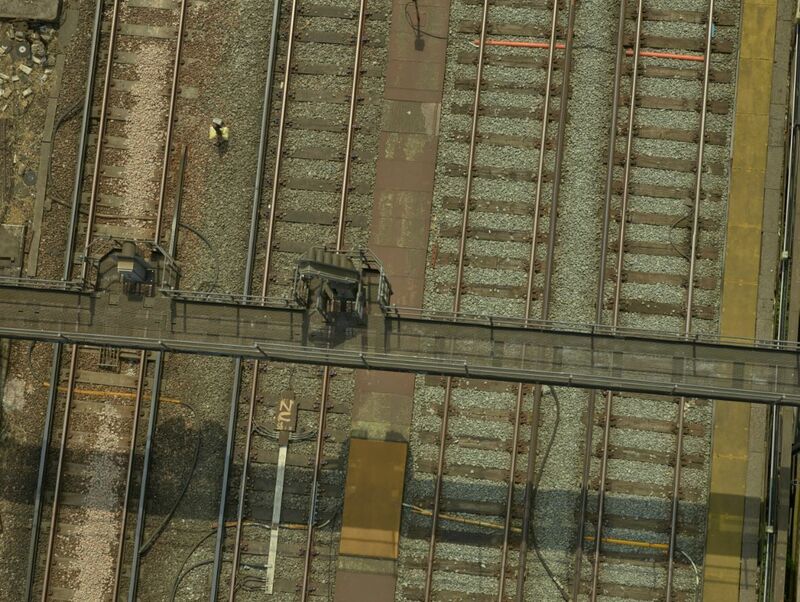 3D Topographical Survey: covers all P-Way detail, including all tracks, switches, crossings, ties & ballast. BIM (Building Information Modelling) deliverables. so that measurements can be taken and overlaid with CAD drawings. To ensure the highest levels of safety, we run our entire fleet of aircraft just as an airline would, albeit on a smaller scale. They are regularly serviced and a full programme of pre-flight checks and tests are undergone before every single flight – these checks take almost as long as the flight itself but are a vital part of our UAV operation and our commitment to doing everything we can to eliminate or reduce risk. 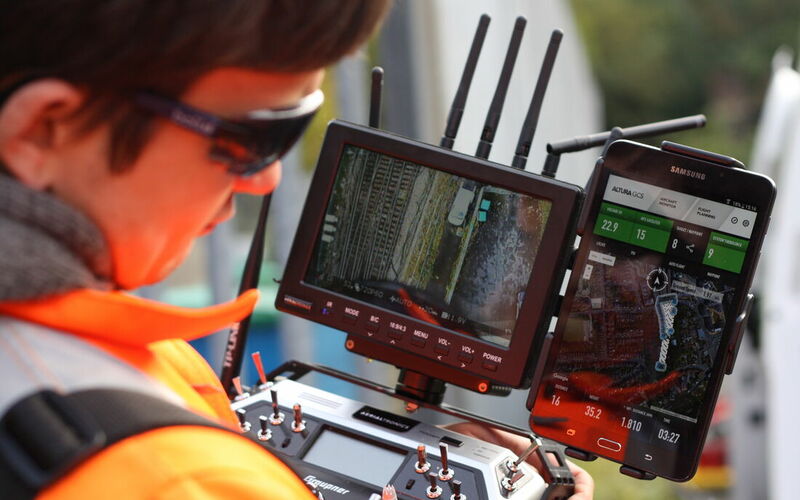 The Vogel drone platform itself is top-of-the-range and boasts a number of essential safety features, including redundant power, motor and communications systems – enabling the UAV to land or return to home in case of battery, rotor or comms failure. 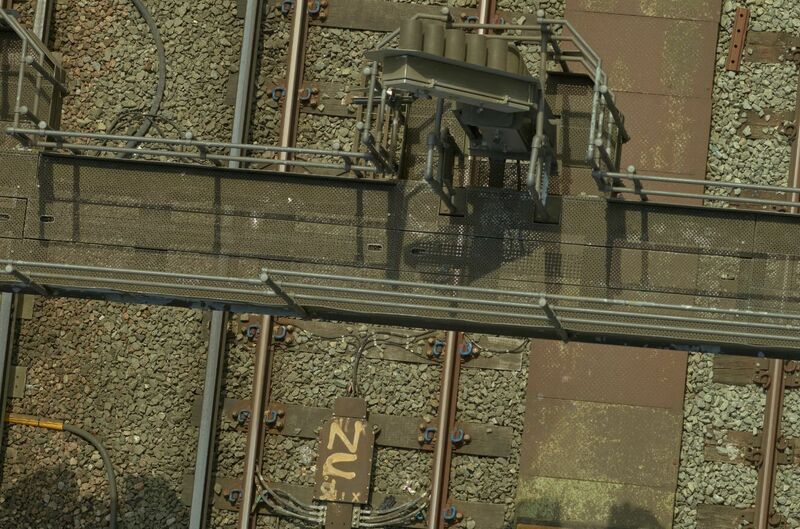 The features were essential in our being awarded permission to fly above railways in the first place. 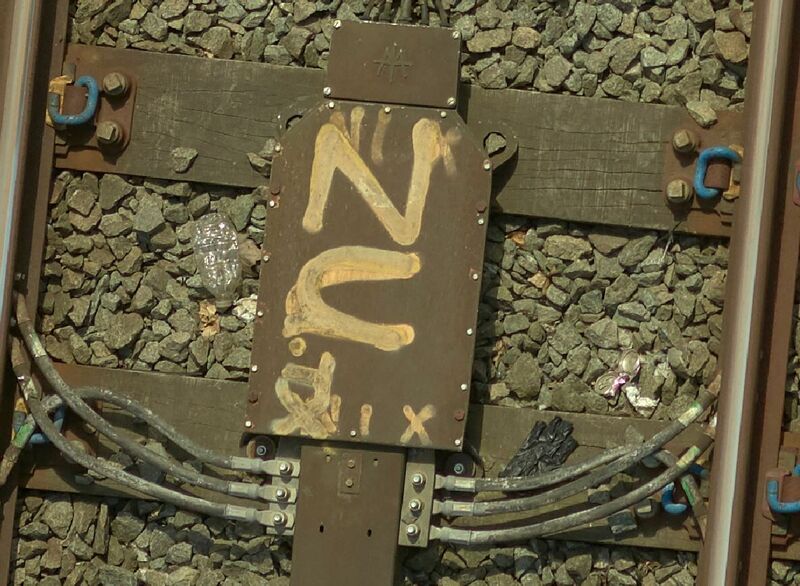 Areas covered in the checks include hardware, cables, communications, weather, magnetic interference, hazards, site security and more. Unlike a ‘standard’ drone job where a pilot and co-pilot are able to complete a survey alone, Vogel R3D projects require extra resources. And this particular project was even more demanding than anything we’d ever done, requiring safety-critical staff and various spotters and look-outs. 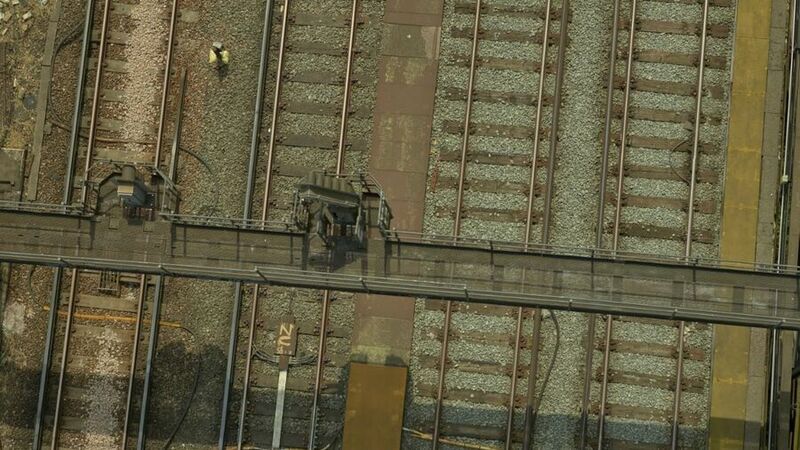 In total, seven people were on-site to ensure safe completion of the job. With all these preparations in place we successfully flew the drone as planned, capturing more than 13,000 images in six days of flying. Take-off and landing was performed manually, but once airborne, the drone operated on an automated waypoint flight path that we programmed in as a part of the planning process. Processing the imagery and data took a further eleven days, with four days to convert to point cloud and a week of CAD work. We delivered to the client a little over three weeks after the first flight, much to their delight. The location made this is an extremely challenging project, but thanks to our detailed processes and meticulous planning we were successfully able to meet the client’s needs. 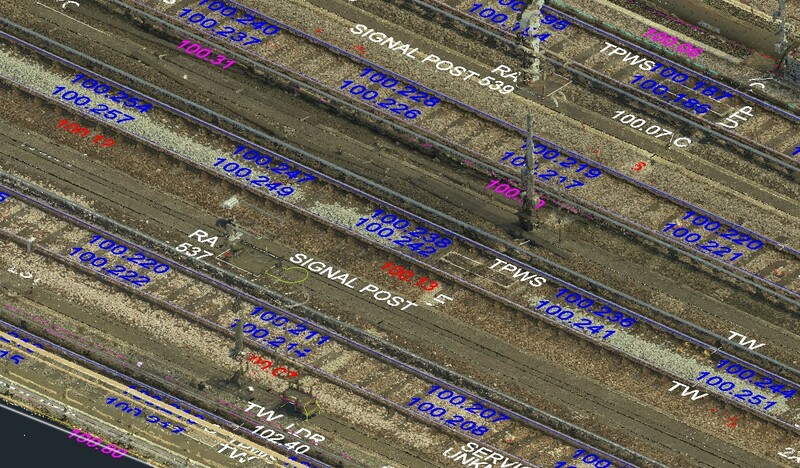 This case study appeared in Rail Professional in November 2018 - click here to read article.